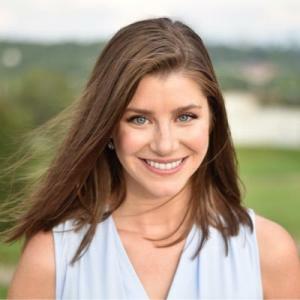 Kait Parker was born on 22 May 1981, in Grapevine, Texas USA, and is a meteorologist, best known for being a part of weather.com, and The Weather Channel. She’s also made appearances in “Good Morning America”, and was previously the host and on-camera meteorologist of “America’s Morning Headquarters”. She’s been active in the industry since 2006 and all of her efforts have helped put her net worth to where it is today. How rich is Kait Parker? As of late-2017, sources estimate a net worth that is at $500,000, mostly earned through success as a meteorologist; she reportedly earns a salary of over $100,000, and as she continues her career, it is expected that her wealth will also continue to increase. Growing up, Kait developed an interest in science thanks to her parents. She attended the University of Missouri and during her time there, was already starting a career on radio, filling-in at KOMU-TV. She studied Atmospheric Science, and would also work to earn her Seal of Approval from the American Meteorological Society. She would become a Certified Broadcast Meteorologist and after graduating started working as a meteorologist for WAKA-TV. Soon more opportunities would open up for Parker which would increase her net worth. She moved to WPTV-TV in West Palm Beach, Florida, for which she worked as a weekend meteorologist before transitioning to a weekday role. In 2014 she left the network to join The Weather Channel, where she worked with various television personalities, including Al Roker. She became the on-camera meteorologist and host of “America’s Morning Headquarters” alongside Reynolds Wolf, where she would serve for two years, before moving to weather.com. She also started other projects, including creating a rebuttal to Breitbart.com which went viral, and was even chosen as an honoree during “The Webby Awards”. In 2016, she released a mini-documentary entitled “Toxic Lake: The Untold Story of Lake Okeechobee” which discusses water management in Florida as well as cyanobacteria, working on the project as a correspondent and a producer. She won top honors at The Society of Professional Journalists and was nominated a News and Documentary Emmy Award for Outstanding Science and Environmental Reporting. In 2017, Kait was named to the list of Climate Fixers by Grist. She was also featured in the first issue of the magazine “Marie Claire” which discussed sustainability. She can also be seen filling-in for meteorologist Rob Marciano during the weekends on “Good Morning America”. For her personal life, it is known that Parker married to hurricane specialist Michael Lowery in early 2017 – he also works as a part of The Weather Channel. She also owns a personal blog, and spends her free time travelling. She’s active on social media too, having more than 32,000 followers on Twitter and over 11,000 followers on Instagram, plus more than 63,000 ‘likes’ on her Facebook page; all of her accounts are updated regularly.